SAN DIEGO — AG Xavier Becerra and CalVet Depty. Secty. Keith Boylan discuss “jury verdict against a group of charity operators who fraudulently solicited donations and conducted raffles under the pretext of helping wounded veterans,” also announce damages awarded in the case. 1:30 p.m., DOJ, 600 West Broadway. Contact: 916 210 6000. RIVERSIDE — Select Committee on Career Technology and the New Economy (Richard Roth, Chair), 10 a.m., Bradshaw Building – Heritage Room, Riverside City College, 4800 Magnolia Ave. Subject — How do we best synchronize Career Technical Education by Community Colleges and the K-12 System? Listed to testify: Ryan Anderson, LAO; Dr. Mathew Roberts, CCC Chancellor’s Office; Donna Wyatt, CA Dept. of Education; Leslie Trainor and Wendy Frederick, County of Riverside; Kimberly Davidson, City of Corona; Ron Western, Riverside Unified School District; Kristine DiMemmo, Riverside City College; Dr. Gina Boster, Corona Norco Unified School District; Maureen Sinclair, Norco College. Nothing public announced as of 5:35 a.m. Contact: 916 445 4571. Public strategy firm Mercury has announced hiring 2018 Democratic gubernatorial candidate Antonio Villaraigosa as a co-chairman who will “work with the global Mercury team, providing counsel and lending his unique and deep expertise to policy issues he has helped solve in government.” Villaraigosa represented a portion of Los Angeles in the Assembly from 1994 to 2000 and served as Speaker from 1998 to 2000. He was elected to the Los Angeles City Council in 2003 and in 2005 became its mayor, serving two terms. Mercury says as mayor Villaraigosa “led major strides in transportation, crime reduction, infrastructure, business development and education reform.” Contact: Jessica Ng, jng@mercuryllc.com. Governor-elect Gavin Newsom has announced naming Ann O’Leary as his chief of staff and Ana Matosantos as cabinet secretary. O’Leary was a senior policy adviser for the Clinton Administration and to Hillary Clinton’s 2016 presidential campaign. She advised Pres. Barack Obama’s transition team on early childhood education, and is the founding executive director of the Center on Health, Economic and Family Security at UC Berkeley School of Law. Matosantos served as director of the CA Dept. of Finance under Govs. Jerry Brown and Arnold Schwarzenegger before opening her own consulting firm. Earlier, she was a deputy legislative secretary and worked in the Health and Human Services Agency and the Senate. Both O’Leary and Matosantos will be sworn in with Newsom and other staffers on January 7. Newsom also reports launching a new website, “All In California,” to gather feedback during his gubernatorial transition and to collect applications for jobs in the next administration. Contact: Nathan Click, click@gavinnewsom.com. The office of Asm. Chris Holden, chair of the Assembly Utilities and Energy Committee, reports Holden is leading a bipartisan group of legislators to Chile this week. The delegation consists of Sens. Nancy Skinner, Scott Wiener and Scott Wilk, and Asms. Cecilia Aguiar-Curry, Marc Berman, Wendy Carrillo, Mike Gipson, Marc Levine and Jim Wood. The group, which also includes environmental and labor leaders, business executives and others, departed Friday and returns Nov. 21. The tour is organized by the California Foundation on the Environment and the Economy to “see firsthand how the South American country is adapting to climate change; preparing for wildfires, earthquakes and other natural disasters; and expanding its clean energy infrastructure.” The trip features tours to the Chuquicamata Copper Mine and the SQM Lithium Mine, as well as meetings with officials such as former Chilean Pres. Ricardo Lagos. The delegation will also attend meetings on Chile’s integration of “high levels of renewable energy into its power system,” and study “marine fisheries and mountainous wetlands to see how regulatory officials, local industries and natural resource specialists are managing climate impacts and competition for limited resources.” Contact: Garo Manjikian 626 351 1917. LONG BEACH — CSU Board of Trustees, first of two days of committee and full board meetings, considers approving CSU’s 2019-20 budget request which seeks an additional $554.1 million, $455.8 million from general fund and $98.3 from tuition increases, above its $6.4 billion 2018-19 spending plan comprised of $3.3 billion from general fund and $3.1 billion from tuition and other fees; other business. 8 a.m., Office of the Chancellor, Glenn S. Dumke Auditorium, 401 Golden Shore. Contact: 562 951 4022. CalPERS Board of Administration, first of three days, hears annual review conducted by Meketa Investment Group of its $27.2 billion private equity program, representing 7.7% of CalPERS’ $361 billion investment fund; Meketa found that the private equity program’s 2018 fiscal-year return on investments was 16.1%, falling short of an 18.6% target, and the program’s “current investment pace is likely to be insufficient” to hit its target; other business. 8:30 a.m., CalPERS Auditorium, Lincoln Plaza North, 400 Q St. Contact: Cheree Swendensky 916 795 3128. CHULA VISTA — California Veterans Board, first of two days, hears appeals from veterans over admissions to homes, college fee waivers, home loans, etc. ; other business. 9:30 a.m., California Veterans Home Chula Vista, 700 East Naples Ct. Contact: Tina Lassiter 916 653 2041. WEST SACRAMENTO — Housing Finance Agency Board of Directors, considers approving a 40-year, $11.2 million loan with an adjustable interest of 10-year treasury rate +2.1% as part of refinance for Plaza Del Sol Apartments in San Jose, a two-story, 80-unit senior housing project with all affordable housing units for residents earning 50 to 60 percent of area median income; other business. 10 a.m., CalSTRS, 100 Waterfront Pl. Contact: Melissa Flores 916 326 8092. California Pollution Control Financing Authority, considers authorizing $14.2 million in bonds for North Fork Community Power in Madera County to construct a power plant that would convert feedstock from dead and felled trees into hydrogen-rich gas and “biochar” used as soil as a soil additive; the gas would fuel two electric generators and the electricity would be sold to PG&E; other business. 10:30 a.m., 915 Capitol Mall, Rm. 587. Contact: 916 654 5610. California Alternative Energy and Advanced Transportation Financing Authority, considers waiving $73,275 in sales and use tax on $867,493 of qualified property purchased by Clerprem USA Corp. for opening a facility in Sacramento that will produce plastic passenger seating systems for rail cars; other business. 10:30 a.m. or upon adjournment of CPCFA meeting, 915 Capitol Mall, Room 587. Contact: 916 651 8157. Board of Governors of the California Community Colleges, first of two days, hears update on expanding the number of student ethnicity or ancestry categories to include groups with populations of over 10,000 in California, including categories for Fijian, Hmong and Persian, and also provide for an expanded collection of ethnic data on students belonging specific Native American tribes; other business. 1 p.m., Board of Governors Chambers, 1102 Q St., 6th Floor. Contact: 916 323 5889. Second day starts at 9 a.m.
SAN FRANCISCO — UC Board of Regents, first of three days of committee and board meetings, discusses proposal to replace 19,000 square-foot bookstore on the UC San Diego campus with a small-format Target store that will provide “a curated assortment of products and services tailored to the specific needs and wants of the students, staff and faculty,” say proposed store is expected to open in 2020 and employ “40 to 60 part-time employees with scheduling focused around a student’s schedule;” other business; 2 p.m., UCSF Mission Bay, Conference Center, 1675 Owens St. Contact: Claire Doan, claire.doan@ucop.edu. CA Educational Facilities Authority, considers authorizing $178 million in tax-exempt bonds for University of San Francisco to refinance its campus buildings; other business. 2 p.m., 915 Capitol Mall, Room 587. Contact: 916 653 2872. Controller Betty Yee has released the monthly cash report for October, reports the state received $6.57 billion in revenue, “falling short of assumptions in the 2018-19 fiscal year budget by 5.9 percent, or $412.2 million;” also reports “sales tax was the only major revenue source to come in higher than projected in the enacted budget” and “personal income tax (PIT) and corporation tax — the two other revenue sources in the “big three” — were lower than assumed in the enacted budget.” Contact: Jason Dumont 916 324 2709. “Water Priorities for California’s Next Governor,” sponsored by Public Policy Institute of California, participants discuss “how California’s next governor can promote water policies and practices to benefit the state’s people, economy, and environment.” 9 a.m. to 12:30 p.m., Sheraton Grand Hotel, 1230 J St., Camellia and Magnolia Rooms. Contact: Carlos Torres 415 291 4434. 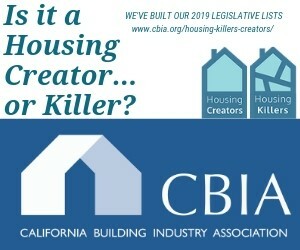 Listed speakers: Curt Aikens, Yuba Water Agency; Ashley Boren, Sustainable Conservation; Caitrin Chappelle, Ellen Hanak, David Mitchell and Jeff Mount, PPIC Water Policy Center; Dan Dunmoyer, California Building Industry Assn. ; E. Joaquin Esquivel, State Water Resources Control Board; Denise Fairchild, Emerald Cities Collaborative; Robyn Grimm, Environmental Defense Fund; A.G. Kawamura, Orange County Produce; Lorelei Oviatt, Kern County Planning Dept. ; Cheree Peterson, US Army Corps of Engineers; Jason Phillips, Friant Water Authority; Jennifer Pierre, State Water Contractors; Halla Razak, Inland Empire Utilities Agency. Free, breakfast and lunch served; webcast and register here. Legislative briefing, sponsored by Asm. Kevin McCarty, Chair of Budget Subcommittee No. 2, on funding youth substance abuse programs from taxes on cannabis sales. 10 a.m., Rm. 125. Contact: Meghan Moroney 415 373 0730. Listed speakers include: Susan Bonilla, Council for a Strong America; Brian Lee, Fight Crime: Invest in Kids; Juliet Sims, Prevention Institute; Adrienne Shilton, Steinberg Institute; Flo Cofer, Public Health Advocates; Erin Gabel, First 5 California; Jeff Davis, California Afterschool Network; Sheri Coburn, California School Nurses Assn. ; Lisa Eisenberg, California School-Based Health Alliance; Brad Strong, Children Now. Ken Alex, Governor’s Office of Planning and Research; Erica Brand, The Nature Conservancy and others hold legislative briefing on landscape planning policies for utility-scale solar PV facilities that generate solar energy for the grid, sponsored by UCLA and UC Berkeley Schools of Law, say county-level “facilities will help California achieve the goals of 60% renewable energy by 2030 and 100% carbon-free grid by 2045, per SB 100,” also release report titled, “A New Solar Landscape: Improving County-Level Landscape Planning for Utility-Scale Solar PV Facilities;” lunch served. Noon, Rm. 113. Contact: Veronica Bravo, veronica.bravo@sen.ca.gov. Other speakers listed: Lorelei Oviatt, Kern County; Renee Robins, Allen Matkins. WALNUT GROVE — Sacramento-San Joaquin Delta Conservancy hosts workshop on initial draft of Central Delta Public Lands Strategy for developing a coordinated management plan among multiple public and private Delta land owners, including Dept. of Parks and Recreation and California Waterfowl Assn., that seeks to balance competing interests for Delta resources. 6 p.m., Jean Harvie Community Center, 14273 River Rd. Contact: 916 375 2084. Supporters of Uighur Muslims in China call for US Government to demand that China shut down “Nazi-style concentration camps” and release “millions of innocent Uighurs” being detained. 10 a.m., West Steps. Contact: CHP 916 445 3876. CHINO — Asm. Freddie Rodriguez hosts Senior Scam Stopper seminar, “experts will provide tips on how to protect yourself from fraud relating to home repair, identity theft, mail, auto repair, insurance, telemarketing, and more;” includes legislative update and Q&A session; free, light refreshments served. 10 a.m., Chino Senior Center, 13170 Central Ave. Contact: 909 902 9606. FOLSOM — Players with Sacramento Republic FC soccer team compete with inmates at Folsom State Prison for a “pick-up match,” teams comprised of both inmates from the prison’s intramural soccer league and Republic FC staff, say the match “provides an opportunity for friendship and community service across prison walls.” 5 p.m., Folsom State Prison. Contact: Bill Sessa 916 445 4950. Listed to attend: Players Cameron Iwasa and Villyan Bijev, COO Ben Gumpert, General Manager Todd Dunivant and Head Coach Simon Elliott, Sacramento Republic FC; Rick Hill, warden of Folsom State Prison. Media must obtain security clearance with Lt. Jack Huey, Jack.Huey@cdcr.ca.gov; also no blue jeans, denim clothing, cell phones and tobacco products inside the prison. Coro Northern California and Coro Southern California leadership programs sponsor recruitment event to discuss the Coro Fellowship in Public Affairs, a graduate-level program that allows fellows over the course of nine months to “gain valuable leadership experience in business, electoral politics, government, nonprofits, and labor.” 5:30 to 7:30 p.m., Rm. 113. Contact: Michael Applegate, michael@corola.org. RSVP here; Fellowship applications are due by January 9 and are available here. Sacramento State’s Project for an Informed Electorate hosts “election post-mortem” panel, political scientists and Sac State faculty Kim Nalder, Wesley Hussey, Danielle Martin, Kristina Victor and Chris Towler discuss “the implications of the 2018 election results” and what “they mean for our state and nation.” 6 p.m., Sacramento State Downtown, 304 S St. Contact: Nalder 916 278 6693. Society of Professional Journalists at Sacramento State hosts “post-election roundup” panel, journalists Alexei Koseff, Sacramento Bee; Dan Walters, CALmatters; and Randol White (moderator), Capital Public Radio, discuss “the midterms and how to cover them.” 7 p.m., 1004 Del Norte Hall at Sacramento State, 6000 J St. Contact: spj.csus@gmail.com. CLIENT ADDITIONS (Lobbying firm, client name, filing date): Axion Advisors (new firm), AGQ USA Inc.; MM Enterprises, USA LLC and FLRish Inc. for California Strategies & Advocacy; Herbl Inc., 11/8/18. CLIENT DELETIONS (Lobbying firm, client name, filing date): Conservation Strategy Group, Big Sur Land Trust; South Tahoe Public Utility District, 11/8/18… Governmental Advocates, American Financial Services Assn. ; MSG Forum LLC, 11/8/18. NEW REGISTRATIONS (Lobbyist name, firm name, filing date): Jared Ficker, Axiom Advisors, 11/8/18… Kevin Schmidt, Axiom Advisors, 11/8/18. EMPLOYER DELETIONS (Lobbyist name, firm name, filing date): Kevin Schmidt, California Strategies & Advocacy, 11/8/18. LOBBYISTS TERMINATING REGISTRATION (Lobbyist name, firm name, filing date): Alexa Howard, California Advocates, 11/8/18. STATEWIDE (Candidate’s name, Party, Office, Year, “Committee’s name,” Treasurer’s name, address and phone number): Gavin Newsom, Democratic, Governor, 2022, “Newsom for California Governor 2022,” Gavin Newsom, 1787 Tribute Rd. Ste. K, Sacramento, CA 95815, 916 285 5733. Gil Cisneros’ campaign for CD 39 says it “received reports from the Los Angeles Registrar of Voters that representatives for Young Kim were attempting to challenge ballots while thousands of votes continue to be counted in the race,” also reports “the Cisneros family residence in Yorba Linda was vandalized” earlier this week and “on the night of the election, as campaign staff worked in the office, an air-rifle was fired at the office shattering a window, but harming no one.” Release here. Cisneros, a Democrat, is a former Navy Lieutenant Commander and is president of The Gilbert & Jacki Cisneros Foundation. Contact: Nic Jordan, nic@cisnerosforcongress.com. Former Asm. Young Kim’s campaign for CD 39 reports: “The Cisneros Campaign is showing their desperation by spreading lies, intimidating employees, and physically tampering with ballots. Their actions earned a rebuke from the Los Angeles Registrar of Voters for ballot tampering and revealed that they are using underhanded tactics to influence the outcome of this election. A campaign that thought it was on its way to victory wouldn’t be spreading lies like the Cisneros Campaign.” Release here. Kim, a Republican, represented AD 65 from 2014 to 2016. Contact: Dave Gilliard 916 626 6804. From Cisneros campaign: “In spite of the claims made by the Young Kim campaign, it was, in fact, a Kim representative that was asked to leave the Registrar after harassing employees despite repeated warnings. On Saturday night, the Kim representative reportedly continually interfered with workers, touched screens, and demanded more information, before she was asked to leave the building at 7:23 pm by Registrar supervisors. This follows reports of Kim and Republican representatives slowing down the counting process by attempting to challenge ballots with Latino surnames and obstructing employees from reviewing signatures, while thousands of votes continue to be counted in the race. Moreover, two Kim representatives were caught by County employees while flipping through ballots and taking photographs on Sunday night and were asked to leave the building at 5:50 pm. As of Sunday, November 11th, the race for California’s 39th District is still officially too close to call.” Release here. From Kim campaign: “We now have a massive sample size of ballots showing that Young Kim earned approximately 53.2 percent of the vote in Orange County, 51.3 percent in San Bernardino County, and 43.7 percent in Los Angeles County. With 173,000 total votes counted, the remaining ballots should nearly match those vote shares in each county. Anything falling significantly outside of those percentages could reflect foul play and we will continue observing closely to make sure the integrity of this election remains intact.” Release here. Melissa Hurtado’s campaign for SD 14 “claims victory,” says, “according to the Secretary of State’s website, Hurtado leads [Republican incumbent Andy] Vidak by nearly 8,000 votes which translates to an 8 percent lead.” Release here. Hurtado, a Democrat, is a Sanger City Councilmember. Contact: Bob Sanders 209 658 5534. Bill Essayli’s campaign for AD 60 reports it has secured “additional voter integrity measures in Riverside County;” Essayli says: “Our request for corrective actions was based on observations that temporary workers were processing vote-by-mail ballots without adequately verifying signatures. The Registrar was also denying any campaign the ability to meaningfully observe this process and to request a secondary review of signatures that do not appear to match the signature on a voter’s registration card. Thankfully, the Registrar agreed to our request and all campaigns now have an enhanced ability to observe the signature verification process and make requests for a secondary signature verification. The secondary review of a signature will be completed by a permanent employee of the Registrar. This change is critical as verifying the signature of a voter is essentially the only tool the Registrar has to prevent fraudulent vote-by-mail ballots from being counted.” Release here. Essayli, a Republican, is a former Assistant United States Attorney. Contact: Matt Shupe 415 735 8491. From the latest issue of the California Taxpayers Assn. publication CalTaxReports: Voters approved 264 of the 390 local tax and bond measures on the November 6 ballot. They rejected 61 measures, and another 65 are still too close based on preliminary results (they are within plus or minus 3.5 percent of their required vote thresholds). For complete results, click here for the full CalTax list of local ballot measures. Some of the votes may have been influenced by skewed ballot language written by the local governments that put the measures on the ballot, and by local governments’ illegal use of public funds to campaign in support of tax increases. Contact: David Kline, davidk@caltax.org. State Rehabilitation Council, first of two days, hears Cindy Chiu and Lisa Harris, Dept. of Rehabilitation, and council member Theresa Comstock discuss the department’s Individual Placement and Support pilot to help people with mental health conditions work in “competitive jobs related to their preferences;” other business. 9 a.m., Dept. of Rehabilitation, 721 Capitol Mall Rm. 169. Contact: Kate Bjerke 916 558 5897. Teleconference also available, call in: 866 819 3654, code: 5550388#. WEST SACRAMENTO — Delta Stewardship Council, first of two days, holds workshop on draft staff findings that conclude “substantial evidence does not exist” to support the Department of Water Resources’ certification that the California WaterFix, the proposed twin tunnels beneath the Delta for conveying water south, is consistent with the Delta Plan; other business. 9 a.m., Ramada Inn, 1250 Halyard Dr. Contact 916 445 5511. Workshop begins Thursday at 9 a.m., continues Friday at 9 a.m. if necessary. GALT — Sacramento-San Joaquin Delta Conservancy, considers approving $8.7 million Prop. 1 grant award for the Grizzly Slough Floodplain Restoration Project, an effort to restore wetland and riparian habitat at the 334-acre site where the Mokelumne River, Cosumnes River, Dry Creek and Morrison Creek converge by breaching the levee and restoring tidal and seasonal flooding; other business. 9 a.m., Cosumnes River Preserve Visitors Center, 13501 Franklin Blvd. Contact: Aleesah Herup 916 375 2091. SEASIDE — Board of Registered Nursing, first of two days, considers adopting a regulation to set requirements for awarding continuing education credits for courses teaching or discussing experimental medical procedures; other business. 9 a.m., Embassy Suites Monterey Bay, 1441 Canyon Del Rey, Laguna Grande Rm. Contact: 916 322 3350. Preceded by staff presentation to the public on the licensure process and how applicants should report convictions, 8 a.m., same location. RIVERSIDE — Mental Health Services Oversight & Accountability Commission, first of two days, considers approving $8.6 million in Innovation Funds to support a collaborative project among Los Angeles, San Diego, Solano and Orange counties to collect data and provide training for providers serving patients suffering from “early psychosis,” or who are experiencing their first psychotic episode; other business. 9 a.m., The Mission Inn, 3649 Mission Inn Ave. Contact: 916 445 8696. California Water Commission, hears presentation from representatives of Dept. of Water Resources on how the department uses asset management to guide risk management, long-term investment planning and resource allocation related to the “aging infrastructure” of the State Water Project; other business. 9:30 a.m., Tsakopoulos Library Galleria, 828 I St. Contact: Brianna Shoemaker 916 651 0825. CA Gambling Control Commission, first of two days of licensing and evidentiary meetings, considers denying the application for a license as a third-party proposition player for Derek Martin Gaxiola, Jr., who received a misdemeanor conviction for vandalism in Jan. 2012 and a misdemeanor conviction for reckless driving in March 2016; other business. 10 a.m., 2399 Gateway Oaks Dr., Hearing Room 100. Contact: Fred Castano, fcastano@cgcc.ca.gov. Veterinary Medical Board, first of two days, holds hearing on trend of corporations purchasing small veterinary practices and staff proposals addressing those acquisitions, which include a new provision that would prohibit owners of a veterinary practice from providing animal patient advice, services or treatment unless they are licensed under the state’s Veterinary Medicine Practice Act, goal is to prevent commercial considerations from overly influencing veterinary practices; other business. 10 a.m., 1747 N. Market Blvd., 1st Floor Hearing Rm. Contact: Ethan Mathes 916 515 5220. Thursday meeting begins at 9 a.m.
ONTARIO — Colorado River Board of California, hears update on The Lower Colorado River Multi-Species Conservation Program, which “was created to balance the use of the Colorado River water resources with the conservation of native species and their habitats;” other business. 10 a.m., Ontario Gateway Hotel, 2200 E. Holt Blvd. Contact: Chris Harris 818 500 1625. FOLSOM — California Independent System Operator, Board of Governors, first of two days of executive and general sessions, considers increasing compensation for Board of Governors members that include increasing the annual retainer fee for board members from $20,000 to $40,000, raising compensation for each day of participation at an in-person board meeting from $750 to $1,000 and providing a new attendance fee of $1,000 for Audit Committee and Dept. of Market Monitoring Committee members; other business. 11 a.m., 250 Outcropping Way. Contact: 916 351 4400. Executive session meets 8 a.m. Thursday. Board of Directors for Western Climate Initiative Inc., non-profit comprised of State of California and Canadian Provinces of Quebec and Nova Scotia that was formed to administer greenhouse gas cap-and-trade auctions, TELEMEETING, considers second amendment to its by-laws to remove the Canadian Province of Ontario as a participating jurisdiction of WCI after province officials announced in June it would end its cap-and-trade program and withdraw from WCI after joining its market last year; the amendment changes the termination date of the agreement with Ontario to Nov. 30 from Dec. 31, 2019; other business. Noon, 877 876 9176, Conference ID: WCI. Contact: Greg Tamblyn 916 449 9966. California Tax Credit Allocation Committee, considers approving $1.8 million in annual federal credits for Las Ventanas Apartments in Long Beach to finance the construction of 101 units of rental housing serving families earning 20 to 80 percent of area median income; other business. 1:30 p.m., 915 Capitol Mall, Rm. 587. Contact: Mark Stivers 916 654 6340. Also available via TELEMEETING, 888 557 8511, Participant Code: 5651115. CA School Finance Authority, considers amending its September agreement to loan $18 million from Mutual of Omaha Bank to KIPP Bay Area Public Schools in order to refinance a construction loan KIPP borrowed to construct schools in Oakland and San Jose; the amendment would “authorize the execution and delivery of one or more loan agreements” rather than a single one; other business. 2 p.m. or upon adjournment of Tax Credit Allocation Committee, 915 Capitol Mall, Rm. 587. Contact: 213 620 4608. Prof. Anastasia Loukaitou-Sideris, UCLA, addresses speaker series sponsored by UC Center Sacramento, discusses “the challenges of urban design” in High-Speed Rail station areas and presents “policy recommendations for better spatial, intermodal and operational connectivity.” Noon, 1130 K St., Rm. LL3. Contact: Brooke Miller-Jacobs 916 445 5161. WEST SACRAMENTO — Forty-six cadets expected to graduate this week from CHP Academy depart on five-mile run to Peace Officers’ Memorial where they will observe a moment of silence in honor of CHP Officer Kirk Griess, who died Aug. 10 in a collision when conducting an enforcement stop on Interstate 80 in Fairfield. 5:15 a.m., CHP Academy, 3500 Reed Ave. Contact: Jaime Coffee, JCoffee@chp.ca.gov. Music at Noon, free lunchtime concert series, this week features jazz violinist and singer Ingrid Peters and friends performing jazz, tango and classics. Noon, Westminster Presbyterian Church, 1300 N St. Contact: 916 442 8939. California State Library continues its “A Night at the State Library” event series, Tony Perry, former reporter for the Los Angeles Times, discusses one of the key battles fought during World War I, the “U.S. Marines at Belleau Wood in the French countryside,” says the battle “changed the course of World War I and helped create the modern U.S. Marine Corps.” 6 p.m., Stanley Mosk Library and Courts Building, 914 Capitol Mall. Contact: Deborah Lynch 916 651 6452. Light refreshments served at 5:30 p.m.; free, RSVP here. Other panelists: Daniel Garza, Libre Initiative; Matt Barreto, UCLA’s Latino Policy & Politics Initiative; Tatiana Matta, Democratic CD 32 candidate; Mariana Atencio, MSNBC. Follows 6 p.m. reception, same location.